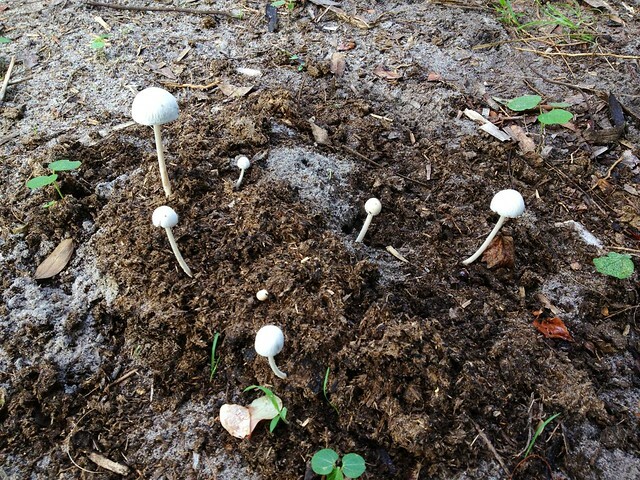 Psychedelics* (i.e. chemicals that reliably produce altered states of consciousness characterized by sensory distortion and changes in cognition) have been subject to human ritualistic, therapeutic, and recreational use for millennia. Their profound perceptual effects have the potential to elucidate countless mysteries of human neurobiology, illuminating the sensitivity of our conscious experience to stereotyped, chemically-induced changes. Nonetheless, our understanding of these compounds is remarkably limited. 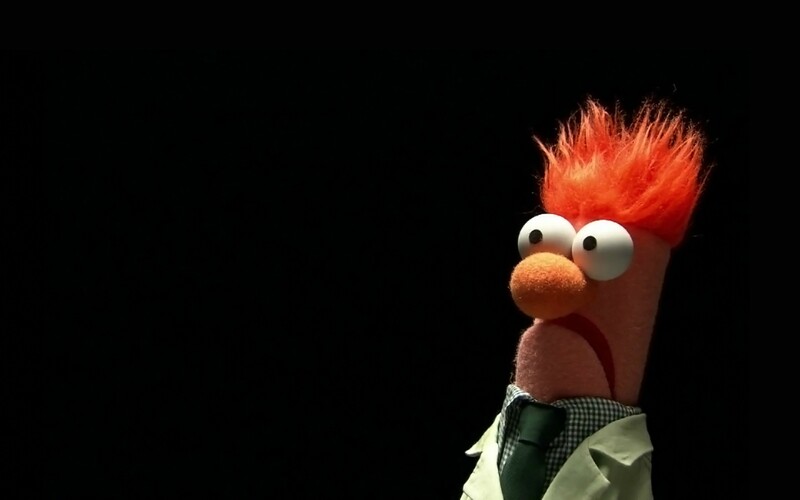 What is it, exactly, that makes these pharmacological curiosities so fearsome? The answer lies, in large measure, beyond hard science and within a complex sociological and political agenda that surround psychedelics…. [A discussion] of the history and background of these unique substances is warranted to provide a little insight into how this situation arose. Before diving into the systemic problems precluding exploration of an invaluable scientific avenue (i.e. aforementioned future diatribe), let’s honor Old Man Nichols and take a brief trip (pun only kind of intended) through the fascinating history of psychedelic science. Although (to our knowledge) systematic scientific investigation of psychedelics didn’t begin until the late 1800s, their widespread human exploration can be traced back over 5,000 years! Mescaline-containing buttons of the peyote cactus collected by Native Americans have been carbon dated to between 3780-3660 BCE, and are still used ceremonially by the descendents of these natives to this day. Furthermore, indigenous cultures in Mexico and Guatemala produced rock paintings and sculptures of mushrooms (many of which resemble hallucinogenic species) and constructed temples dedicated to “mushroom deities” that date back to approximately 1000 BCE. Fittingly, Aztec shamans, deriving much influence from their colocalized cultural ancestors, refer to psilocybin-containing mushrooms (AKA “magic mushrooms”) as teonanácatl, meaning “flesh of the gods.” Indigenous Amazonian consumption of the psychedelic brew ayuhuasca, which contains a synergistic hodgepodge of psychoactive alkaloids (e.g. DMT, 5-MeO-DMT, harmine, harmaline) is also thought to date back several millennia. Ancient ritualistic use of psychedelics doesn’t appear to be isolated to the Americas, either. Sacred texts arising from the ancient Indus River Valley make frequent reference to soma, a ritually-consumed drink ascribed divine properties. Recorded references to soma date back to approximately 1700 BCE, but it is widely believed that its consumption may have significantly preceded written record, with hypothetical use as early as 3000 BCE. While the identity of this sacramental substance is still subject to speculation, many leading candidates proposed by experts are psychedelic in nature. For instance, Terence McKenna, an ethnobotanist specializing in the study of psychedelics, suggests that soma may have been a tea brewed from psilocybe mushrooms. Because these mushrooms grow readily in cow dung, McKenna speculates that their entheogenic properties may have thus played a role in the sanctification of the cow in Hindu culture. Similarly, the Eleusians of ancient Greece practiced a highly secretive annual ceremony (for any Greek citizen not convicted of murder) that involved consumption of a drink called κψκεον, which has been speculated to be derived from psychedelic ingredients. This practice may have started as early as 1700 BCE, and was described as “both the most awesome and the most luminous [of all the divine things that exist among men].” Despite such pervasive use, however, systematic scientific study of psychedelics didn’t arise until just over 100 years ago, when Western scientists became interested in the powerful psychotropic properties attributed to these ceremonial staples. In 1888, German toxicologist Dr. Louis Lewin became interested in the presumed psychotropic properties of the peyote cactus after learning of its ritual use by indigenous Mexicans. 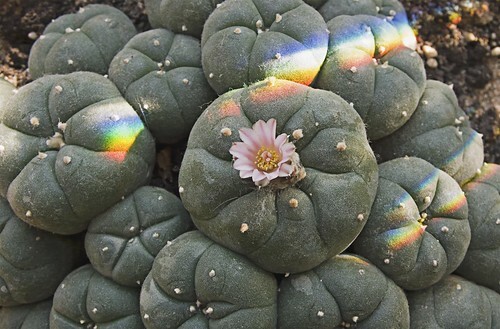 Over the course of the next decade, Lewin and his colleague, Dr. Arthur Heffter, performed numerous self-experiments with peyote, resulting in the first recorded reports of its psychological effects. The duo isolated mescaline as a primary active compound in the cactus, and, twenty years later, mescaline was successfully synthesized by Dr. Ernst Späth. The ability to synthesize mescaline dramatically increased its availability and facilitated standardization of dosage, effectively opening the door for systematic research and report on the qualitative nature of the psychedelic experience. Hofmann made the correct assumption that this odd state had resulted from the absorption of LSD-25 through his skin. The following Monday, Hofmann (as any good scientist would) measured out and ingested 0.25 mg of LSD-25, the smallest amount he could possibly imagine having a discernible effect (n.b. a common recreational dose of LSD is ~0.1mg), and had planned to increase the dose until an effect was noticed. Within half an hour, the symptoms of the previous Friday had returned, and Hofmann returned home on his bicycle along with his assistant. On that bicycle trip and the hours following, Hofmann became acutely aware of the pseudohallucinations, perceptual distortions, and cognitive alterations we know to be characteristic of the LSD-induced state. 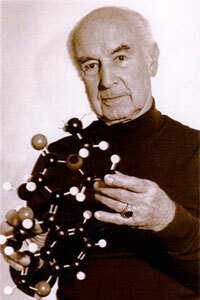 Hofmann had just discovered the most potent psychoactive compound to date, entirely by accident! After a bit more personal testing among the staff at Sandoz and some preliminary psychiatric studies, the drug was released under the trade name Delysid for use as a psychotherapeutic aid and as an agent for familiarizing psychiatrists with the ideas and sensations of psychotic patients. Between 1950 and the mid-1960s, more than a thousand clinical papers and several dozen books were published on psychedelic drug therapy. Clinicians found significant utility for psychedelics for the treatment of alcoholism, end-of-life anxiety, “uncovering the unconscious roots of neuroses (i.e. psycholytic therapy),” inducing “overwhelming [psychiatric] healing experiences (i.e. psychedelic therapy),” and facilitating mystical or religious experiences (for a fascinating example of this, look up Walter Pahnke’s “Miracle of Marsh Chapel” experiment at the Harvard Divinity School, which I’d go into more detail on if I had the space…). Concurrently, Dr. Alexander “Sasha” Shulgin, a chemist working (initially) for Dow Pharmaceuticals, began exploring the neuropsychological effects of structural manipulations on known psychedelics. 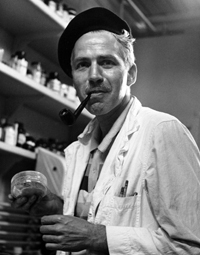 Shulgin synthesized and consumed hundreds of novel psychedelics, documenting active doses, routes of administration, and qualitative comments regarding their subjective effects. In doing so, Shulgin dramatically expanded the existing library of psychedelic compounds, and compiled the largest and most comprehensive qualitative database on human structure-activity relationships to date, furthering the field of neuropsychopharmacology by leaps and bounds. Given that LSD is remarkably potent and virtually undetectable, it provided an outstanding candidate for these goals, and was prominently featured in a number of experiments. Many of these experiments involved the unwitting (and thus nonconsensual) administration of LSD in massive quantities to American and Canadian citizens, often in conjunction with various forms of torture and abuse. Experiments halted in 1973, however, when, in the wake of the Watergate scandal, concern over revelation resulted in the immediate termination of the MKULTRA program. Nonetheless, revelation of many disturbing details of the program over the course of the mid- to late-1970s helped frame a brutal public legacy for psychedelics as possible psychological weapons, facilitating their impending social, legal, and academic marginalization. 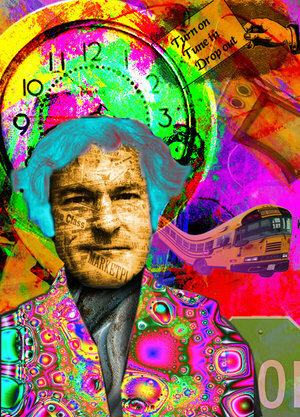 LSD was intersecting with several powerful social forces in American culture: the leaden proprieties of the conformist ‘50s, Leary’s “parochial social insanities,” were being cast aside to the magical music of the Beatles; the presumptive authorities of church and state were being revealed as the corrupt proponents of an immoral war; and the ugly gangrene of American racism was being exposed by the civil rights movement. Countercultural associations cast psychedelics in a negative light to the American government and the more traditional segments of American society, catalyzed by the fear of the unknown and the ontological burden of a malleable consciousness. With such widespread public use, backlash was inevitable. By late 1965, Sandoz had all but halted distribution of LSD and psilocybin, and researchers were required to return their existing supplies of these substances to the company. Psychedelic scientists were forced to reapply to the FDA for Investigational New Drug (IND) permits, and very few were granted. The Controlled Substances Act of 1970 categorized all psychedelics with a known recreational presence as Schedule 1, hampering further acquisition and testing. The last grant for use of LSD on human subjects was terminated in 1974, ushering in a two-decade-long de facto moratorium on human psychedelic research. Landon Klein is a third-year Ph.D. student in the UCSD Neurosciences Graduate Program. Working in the translational neuropsychopharmacology lab of Dr. Mark Geyer, Landon studies the neural mechanisms underlying the effects of psychedelics. Landon hopes that such insight will improve our understanding of the pharmacological and molecular correlates of human consciousness, and enhance his own understanding of his often-illogical subjective reality. When he’s not trip-sitting mice, Landon spends his days playing music, eating until he is uncomfortable, and contemplating the hypothetical victor of unlikely fights between historical figures. As you may have gathered by now, psychedelia, both in the scientific community and in society at large, is a highly controversial topic. For a microcosm of this controversy, one need look no further than the intense discourse over what these compounds should even be called. The term psychedelic, from the Greek roots for “mind manifesting,” was coined by Humphry Osmond, a Canadian psychiatrist who employed mescaline and LSD extensively in psychotherapy, in 1957. Osmond’s coinage was a response to perceived insufficiencies in the existing nomenclature, namely hallucinogens and psychotomimetics. Phenomenological studies have verified that these substances rarely produce true hallucinations (i.e. “perceptions in the absence of external stimulus [with the] qualities of real perception”; vis-à-vis hallucinogens), but are more prone to pseudohallucinations (i.e. hallucination-like perceptions that are recognized by the observer to be occurring in absence of external stimulus) or perceptual distortions, and possess limited potential for mimicking psychosis (vis-à-vis psychotomimetics). While the usage of psychotomimetic has declined, significant debate remains as to the proper nomenclature, and the appropriateness of interchangeable use. 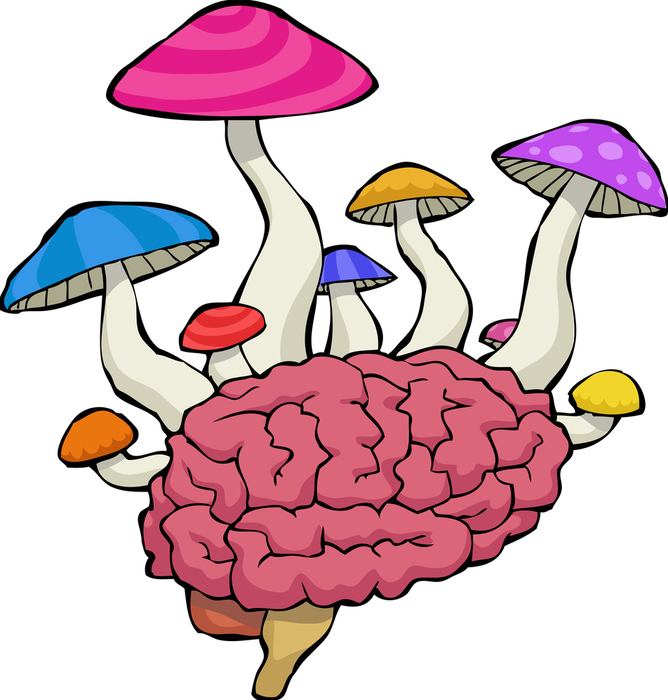 Despite its insufficiencies, hallucinogen is currently the most common designation in scientific literature, as psychedelic has been suggested to connote a positive valence, while the latter is more common in popular media. Recently, the term entheogen (meaning “generating the god within”) has increased in popularity among non-scientific circles, due to the ability of these substances to promote mystical and religious experiences. The jury is still out on the most accurate, connotation-free term for this class of substances. I have elected here to use the term psychedelic; read into it what you will.